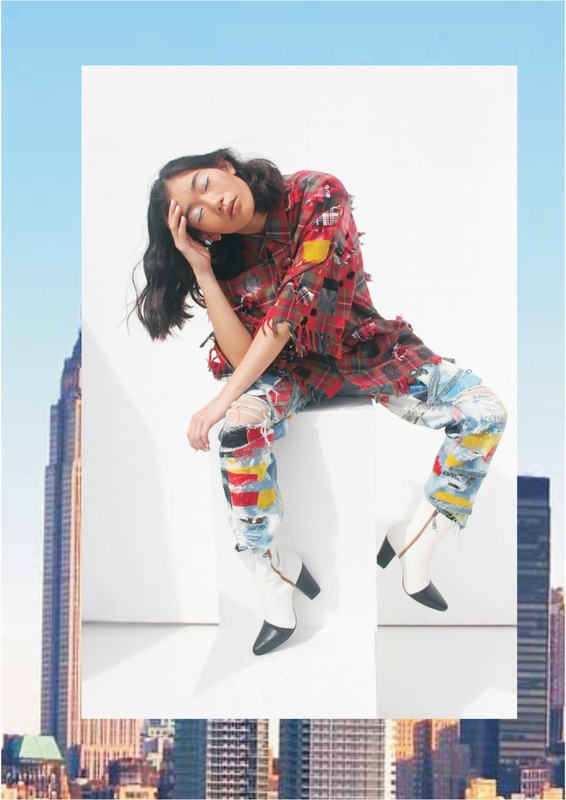 Entassé is my collection that i made to complete my Final Task to get My S1 Degree on Fashion Design. 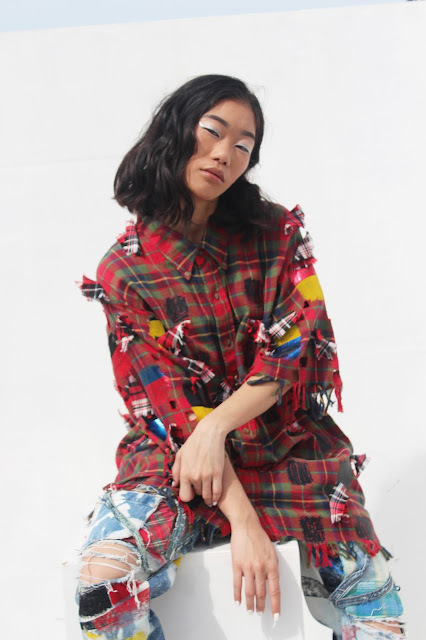 So the concept behind this collection is to recycle the thrift stuff or second-handed Garments into a wearable fashion product, with surface textile design. So, long story short, i pass all kind of test and exploration to find the right technique for my collection. And i'm down to this surface textile technique, and i used a lot of surface textile design technique to complete this collection. I spend days, even months not sleeping because i'm working on this final project. The technique that i used is Surface Textile which is creating or adding new surface and new texture on to fabric. 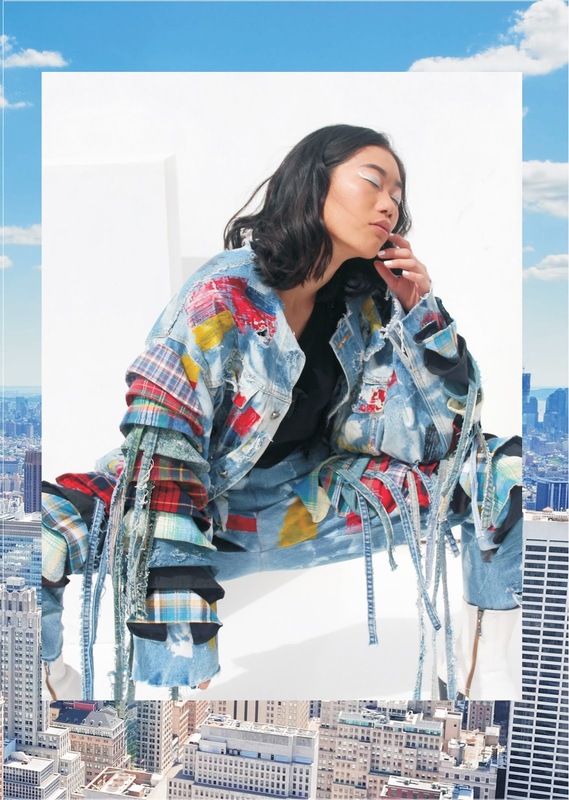 There is a lot of process, imageboarding, presentation and all kind of stuff to make me decide okay i will use denim and flanell also a cotton t-shirt for this collection. 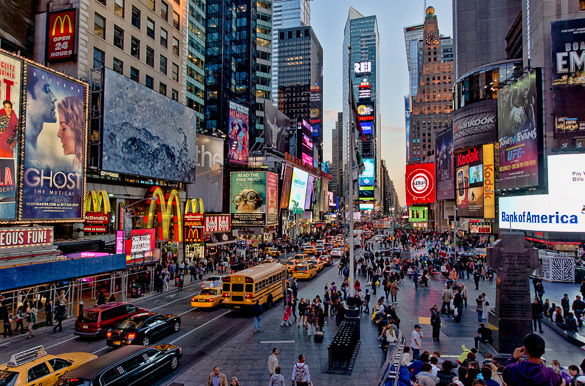 The main inspiration is this picture of New York Time Square. which is have a very loud color, and city lights. I want to capture the crowded and loud New York Time Square into this pieces. It's not the New York culture and people but i want to capture the situation. Courtesy from Google. Search : New York Time Square. At the image above you can see theres a lot happening, and so crowded. that is why i named this collection ENTASSÉ because it means crowded. Going Through all the mentoring from the lecturer i do the sketches and finally i can start the production. And come the hard part because this pieces need to be treated so it is super clean and ready for people to wear. so i treated it with desinfectant to get rid of the dirt and possible bacteria since it second-handed. And finally after i do all that, (drying process etc) i start to do the techniques one by one. Start with shredding the jeans one by oneand apply the technique. After that i can go to the sewer to make it complete, putting it together and make the product finish. It is not done there. I mist do a presentation. and a presentation is not complete without a photoshoot. So i did a photoshoot. 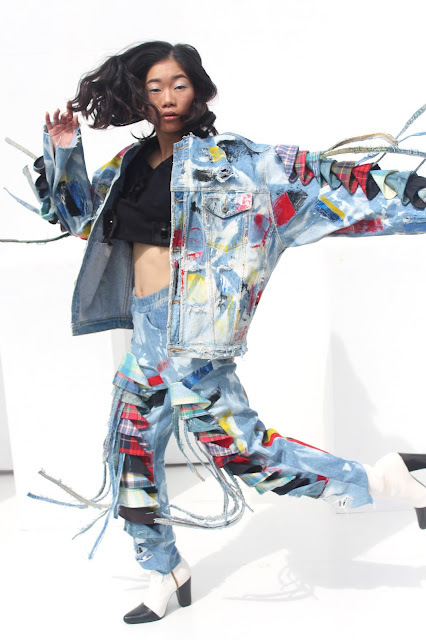 And because my muse is Irene Kim, the model from South Korea, i choose the model that have a same unique face, whichbis this beautiful dancer named Angelenzy. I adore her for sich a long time because her ability on dancing aspecially waacking. and i love how unique her face is. Surprisingly, the clothes fit her like a gloves and the photoshoot goes super fast. Thank you To Marta and dina for helping me. And the photoshoot turned out into this beautiful images. I named all the pieces like Avenue, MTV, Saint Mary because that is the building that is around New York Times Square. I do all the make up and photoshoot by myself to press some budget, yes it is exhausting but i am so happy with the result, i DIY my white set, and thanks to my Guesthouse security they help to put it together. ugh such an amazing experience. A lot of people asked if i can do it again. For now i can't because it take months if i do it myself. Right now i'm thinking I don't know how i can go through all of that by myself butby the grace of GOD he make me strong enough to go through it all. But if i have enough crew to make it and someone really want the piece, i will make it for them. But for now all those pieces is an archive. And i'm not selling it. Such a great memory if i look back. And i just realize that i have never post about my final task on my blog. I'm top busy preparing my graduation and moving out from Bandung To Manado. And now i am moving in To Jakarta to pursue my career as a fashion stylist, fashion consultant and a MUA. i want to take as many experience as i can, so if i move back again to my hometown i am ready to teach everyone and make my own fashion brand.